This text chronicles Deng Xiaoping's institution of far-reaching and practical economic reforms that seem at odds with Communist theory and its emphasis on ideology. 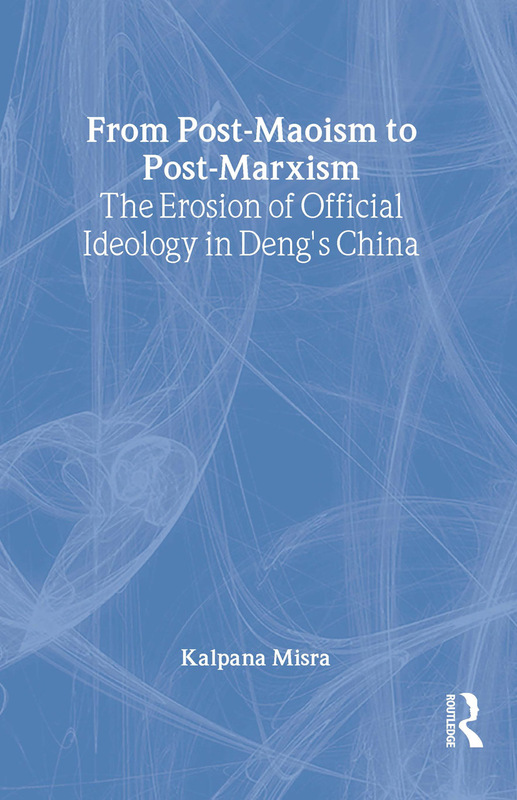 In fact, while Deng often turned to Mao for ideological justification of his reforms, those very reforms seemed to wear away to official ideology. Ultimately, even though the post-Mao government has fostered economic growth, improved standards of living and intellectual pluralism, these changes have resulted in a decline on the perceived legitimacy of the regime. Kalpana Misra is Assistant Professor of Political Science at the University of Tulsa.